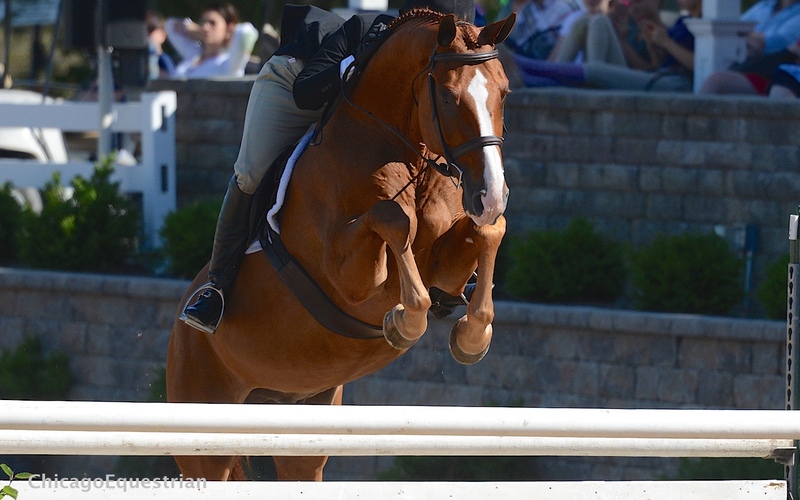 Taken and Kelly Farmer won the $25,000 USHJA International Hunter Derby at Equifest II. Wayne, IL – August 2, 2015 – Equifest II celebrated Derby Day today at the Lamplight Equestrian Center. 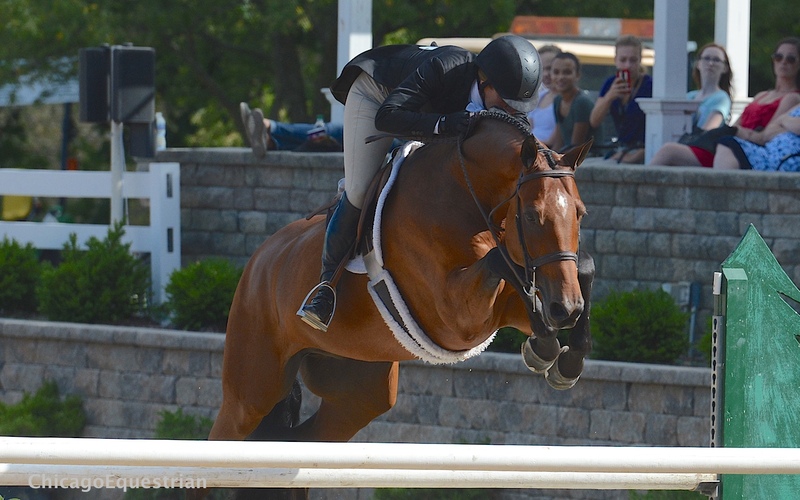 The day featured the $25,000 USHJA International Hunter Derby and the $5,000 USHJA National Hunter Derby for the hunters and a $30,000 Jumper Speed Derby for the jumpers. Top hunter riders included Jennifer Alfano and Kelly Farmer, who also came for World Championship Hunter Rider week during Equifest II. 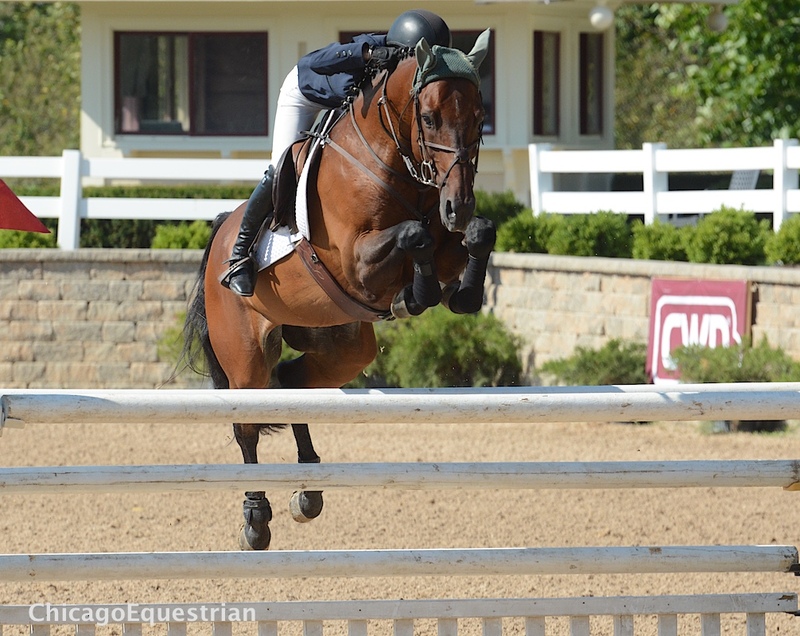 Sixteen horse and rider combinations showed off in the SmartPak Grand Prix arena vying for the top honors. Linda Andrisani and Holly Orlando were the panel 1 judges and Dee Thomas and Tucker Erickson were the panel 2 scores. With the USHJA Hunter Derby Finals approaching, August 13-15, 2015 in Lexington, KY, derby riders had their game faces on, as this was the last derby they would ride in before the finals. The Grand Prix arena allowed for a nice galloping course and several inside turn options for the handy rounds. Several long run single jumps permitted riders to show off a gallop. Jersey Boy and Jennifer Alfano took second place. Jennifer Alfano had three horses in the International Derby, Miss Lucy, Miramar and the 2013 USHJA International Derby Winner, Jersey Boy. Alfano has won $936,559 in lifetime hunter rider earnings and Jersey Boy has been USEF Horse of the Year three times. They are definitely serious contenders for the derby finals again. Kelly Farmer had six horses in the International Derby. Farmer was the first hunter rider to earn a million dollars in the hunter divisions. To date, Farmer has earned $1,586,302 in hunter rider earnings, more than any hunter rider in history but Farmer has yet to win a derby final. The elite few who have won the prestigious hunter derby finals include, John French and Rumba, Hunt Tosh with Lone Star, Lilly Keenan and C Coast Z, Jennifer Alfano and Jersey Boy and Liza Towell-Boyd with Brunello, who are the only pair to win the finals twice. After the classic round, all six of Farmer’s rides would return for the handy with Dalliance on top with a first round score of 190 and Taken in second place with 189. Mindful and Symbolic were also in the top six. All three of Alfano’s mounts would return also, with Jersey Boy in third with 187. Miramar and his new star design, which replaces the classic checkerboard on the horse’s hindquarters, with a score of 169, would round out the top six. The top three spots were just a few points apart, so the handy round would make the difference for the win. The scores went higher and higher as the rounds returned from low score to high. Miramar and Alfano added a 192 to their first round for t total of 361. Farmer’s Symbolic added a 205 from the second round to total 377. Mindful scored 204 to add to their first round for a 384. Then it was up to the top three, Jersey Boy, Taken and Dalliance to battle it out. Jersey Boy was handy and beautiful, showing off his trademark gallop to scores of 8 for handiness and added 208.5 for a total of 395.5. Next, Farmer and Taken galloped the track with handy turns and handy scores of 8 and 9, also adding 208.5 to their score, for a total of 397.5, now just 2 points ahead of Alfano with Dalliance left to go. Dalliance returned with a gorgeous round until the third to last jump, where he tripped hard after landing after the end oxer, but made a good recovery to finish. One set of judges awarded an 80 as a base score and the other set of judges awarded a 50, knocking Dalliance out of the top ribbons. In the end, it was still Farmer with the win by two points with Jessica Stitt’s Taken. Alfano and SBS Farms’ Jersey Boy took second place and Farmer again with Mindful for third. “I’m Just going to walk away now,” joked Farmer. Time will tell if that is in fact the truth. 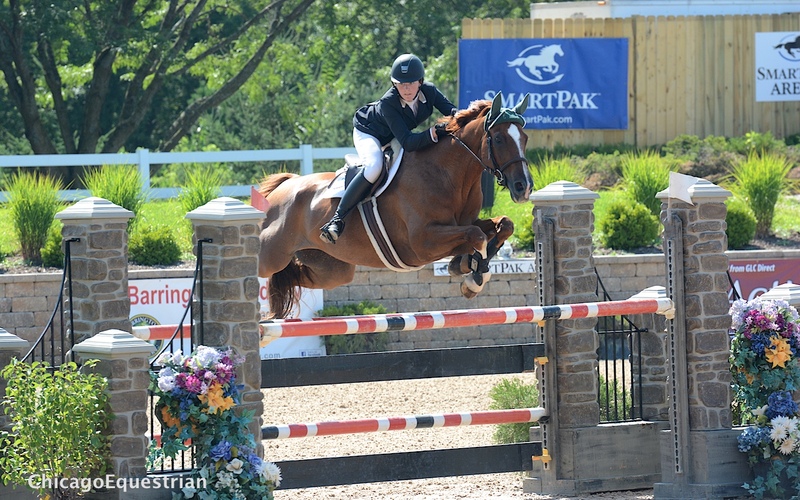 The day continued with the $5,000 USHJA National Hunter Derby. Fifteen competitors took to the track for a chance to leave with the top prize. After the classic round, Russell Frey and Nina Moore’s Kodachrome lead the pack with a 182. Amelia McArdle and Old Barrington’s Apartico were second with 174 and Tiffany Hammack with Cassie Berke’s Claudius were in third with 173. 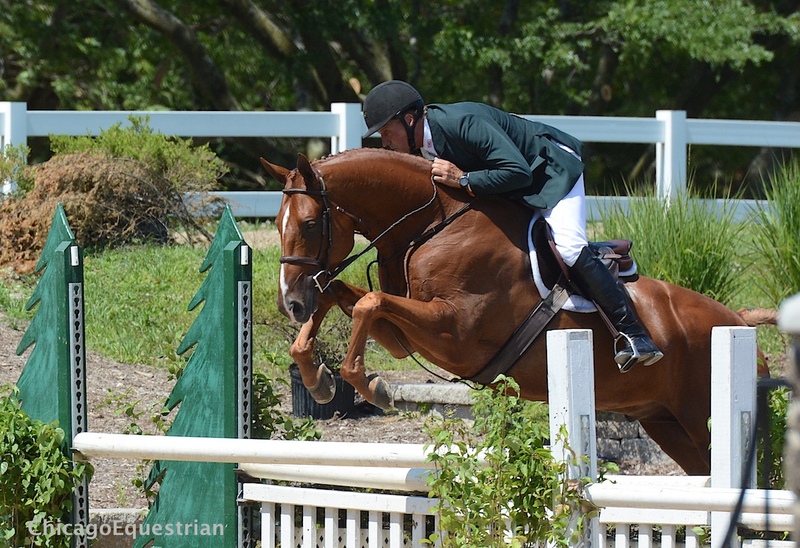 Kodachrone and Russell Frey won the National Hunter Derby. Isabella Baxter and Whenever followed in fourth with 168, Meaghan Glass and Optimus Prime stood in fifth with 156 and Stephanie Kraus and Bravo rounded out the top six with 149.5. 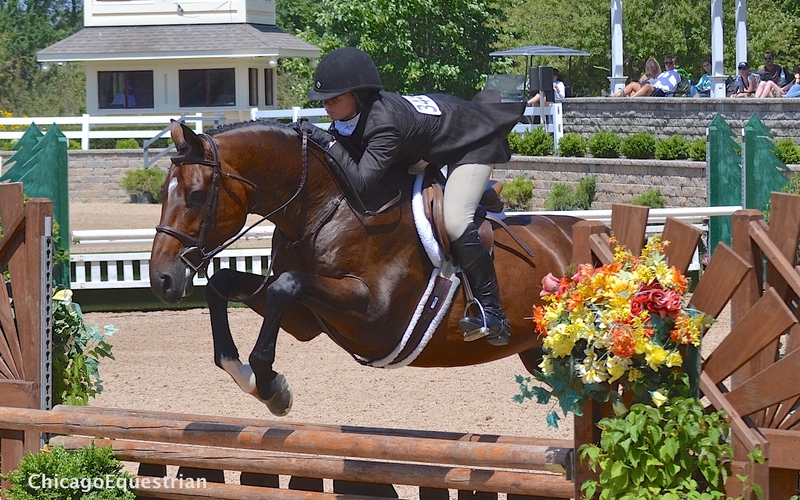 Tiffany Hammack and Claudius earned the second place prize in the National Hunter Derby. The handy round included several rollbacks, a log trot jump and some gallop options. Hammack managed to move up, adding a 170 to their first round score for a total of 343. McArdle dropped down a spot, adding 166 to their score for a 340 total. Frey managed to hold the lead, adding 173 to their score for a 355 total and the win. Andy Kocher and Bologna race to the finish. 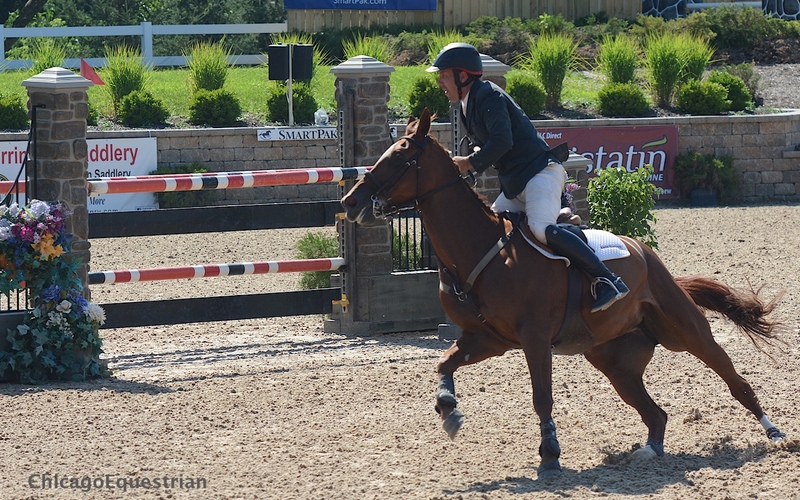 Equifest II closed out its final day with the Lamplight $30,000 Jumper Speed Derby. The track, designed by Leopoldo Palacious, may have been the most difficult of the competition. Horses and riders had to navigate a sixteen-jump course with a total of eighteen jumping efforts. The speed course included a jump on the top of a large hill toward the end of the course and the water jump, that hadn’t been seen either week of the show. The riders seemed to get quite competitive, turning in faster and faster rounds. Rocky W was the fastest in the $30,000 Speed Derby. The Derby was one round with any jumping faults added onto their final time. Winner Kaitlin Campbell aboard Rocky W and two of Andrew Kocher’s rides, Bologna and Bull Run’s Faithful, were the only pairs to have clear rounds. Rocky W and Campbell, Georgetown PA, claimed the top honors with a 94.269 beating Kocher by two seconds. Campbell purchased the horse in 2006 and has won numerous Grand Prix’s with him. 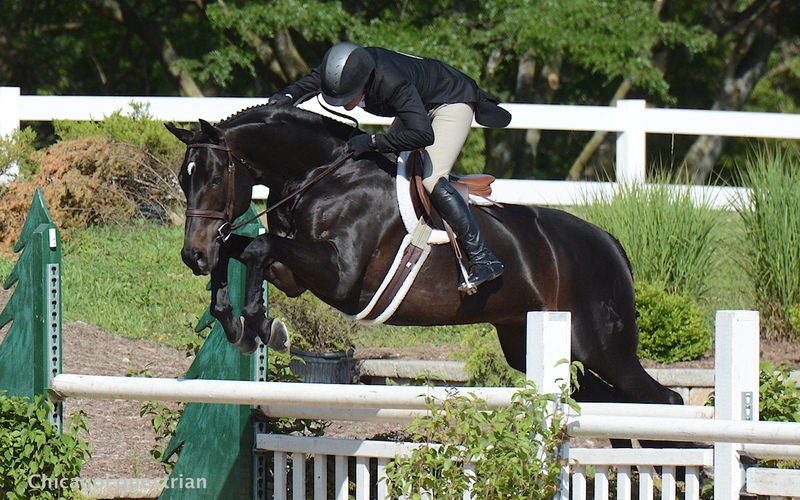 Campbell has competed all across the country and won the Junior Jumper Championships at Devon in 2009 and the NAJYRC individual Gold Medal. She had two rides in today’s derby, her other being a younger horse, Summer Time, who took tenth place. Campbell was very complimentary about today’s track. Rocky W is a 17-year-old gelding, whom Campbell tries to save for big events. “We might do a few shows in Kentucky next, where I work for Marigot Bay Farm in Lexington, Kentucky. This was my first time at Lamplight. We had never been to Lamplight so we decided to try it. It was really nice here and the facility is awesome. We’ll do a few shows in the fall and then hopefully indoors and back to Wellington,” said Campbell. Andrew Kocher entertained the spectators with his multiple rides, going to the stick to turn in faster and faster rounds. He finished in the ribbons with most of his horses, claiming third with Filip, fifth with C’Havina, sixth with Bull Run’s Faithful, eighth with Ciana, and the eleventh with Casino Royal. Kocher won the $75,000 Lamplight Grand Prix during week one of Equifest and the $10,000 Welcome Stake this week. He admitted the course was challenging for his eight mounts. Kocher is quite a character, he had a life-size cut-out done from of photo of him and friend Steve LaPorta from the Welcome Stake presentation. Kocher had three of them made so LaPorta could have one in his office, Kocher could have one for at home and one to put outside his tack room. In fourth place, with a time of 99.127, was Caelinn Leahy aboard Esquilino Bay. 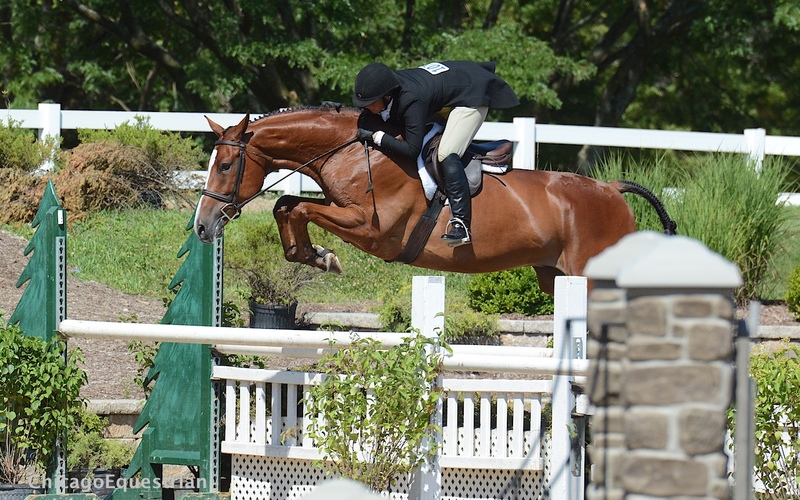 The young rider recently moved up from the Low Junior Jumpers to the Highs. This was her first bigger class outside of the junior jumpers. 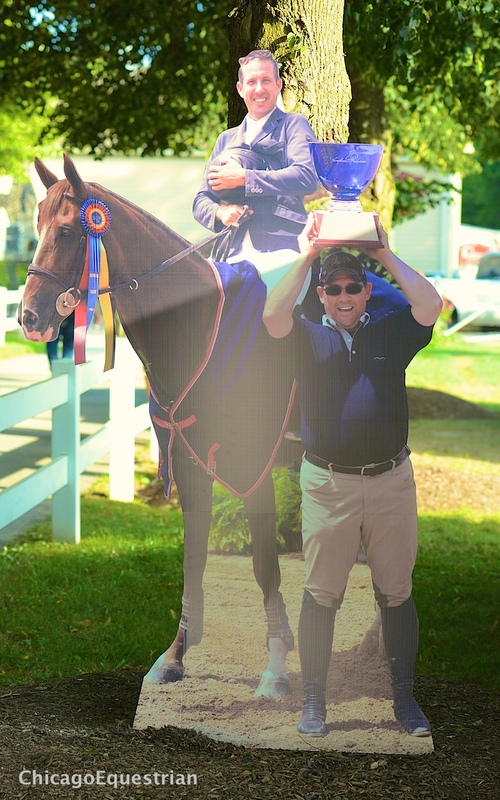 Leahy rides with Steve Schaefer at Bellis Show Jumping and has had a winning year. Derby Day was a great way to end the two-week Equifest Series, manged by Allan Rheinheimerr. 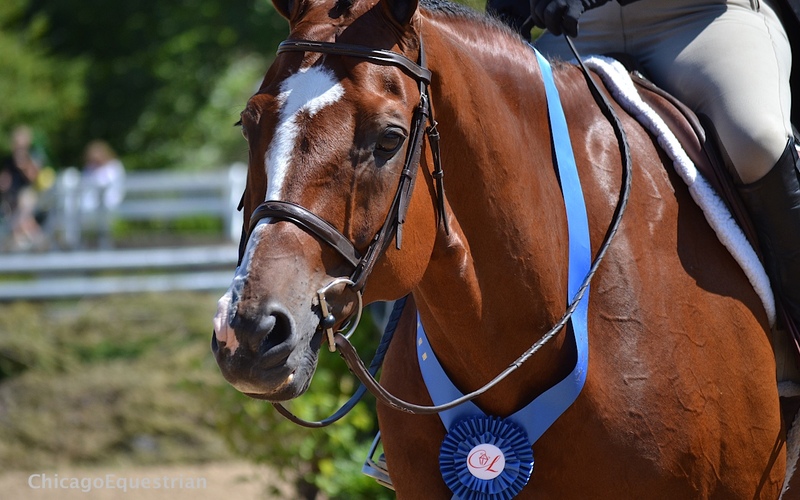 For complete horse show results, visit www.horseshowsonline.com. 3 7 MINDFUL ARMER, KELLEY KENSEL, LLC, .